Is beginning to end digital mortgage lending possible? 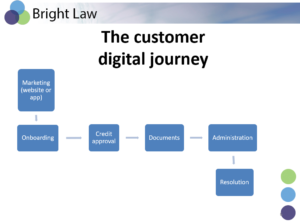 I recently spoke at a credit law conference about digital mortgage lending. Your customers expect you to engage with them in ways that are convenient to them, including online and by mobile apps. Using technology can improve the speed of transactions and lead to better customer experiences. As long as automation focuses on customer benefits and addresses risks such as privacy and fraud, automated systems can improve the lending process. Lending is supposed to be technology neutral: the law should not prescribe particular technological solutions or discriminate between different forms of technology and as far as possible, paper-based commerce and electronic commerce should be treated equally by the law. The Electronic Transactions Act broadly works by not making electronic transactions invalid for the purposes of Commonwealth laws, simply because they are electronic. But there are a number of regulatory barriers to mortgage lending being conducted on a wholly electronic basis from beginning to end. 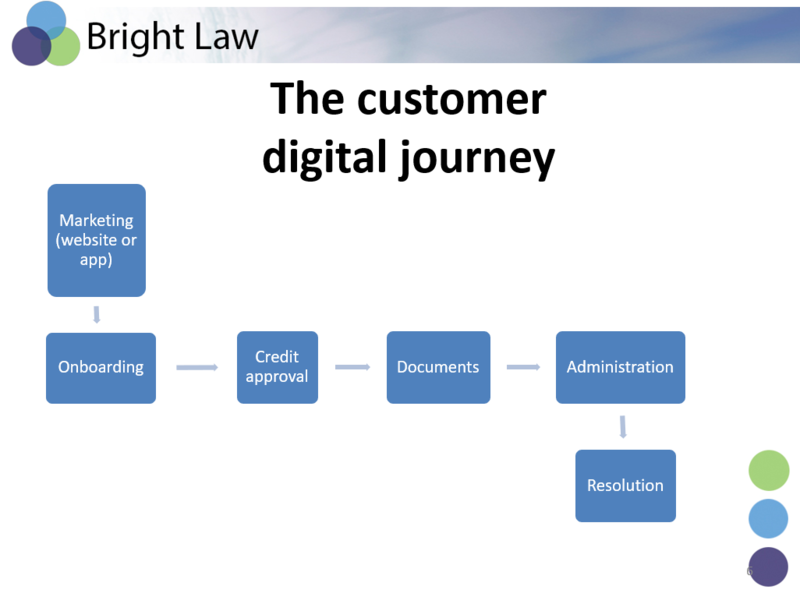 For example, the econveyancing rules require face to face verification of a mortgagor’s identity so that at best a mortgage transaction can be mainly, but not wholly, digital. In addition, currently in most States although a mortgage can be registered electronically it must still be on paper with a wet signature by the mortgagor and a witness who is present when the mortgagor signs. There are also obligations imposed on lenders’ websites which are additional to normal face to face or paper lending. Algorithms and business rules need to be regularly reviewed to ensure they are legally compliant. Credit approval and responsible lending obligations remain an area where automated decision-making systems still require manual assistance. In the area of loan administration, there are examples of breaches occurring as a result of processing errors: statements not sent, statements sent to the wrong people, fees wrongly charged to accounts, and account balances not updated online. The latest report from the Office of the Australian Information Commissioner on the Notifiable Data Breaches scheme shows that 6 percent of reported data breaches arise from system faults. A “system fault” is described as the disclosure of personal information on a website due to a bug in the web code, or a machine fault that results in a document containing personal information being sent to the wrong person or a coding error which allows an individual to access another individual’s online account. While automated processes can lead to efficiencies, it is essential that they are designed to prevent breaches of financial services and credit laws and other regulatory obligations. This requires co-operation between the business, IT, and risk and compliance.